Your gutters serve a very important purpose. They carry excess runoff water from your roof and run it to a spot that’s safe for it to drain. Gutter Cleaning on a regular basis is crucial in order to ensure things are functioning properly and in preventing water from accumulating too close to your home. A clogged gutter can lead to flooding, leaks and costly damage to your home and its foundation. 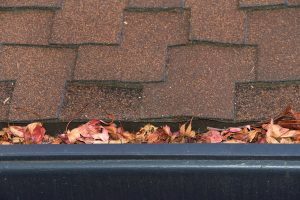 It’s recommended that all homeowners have their gutters thoroughly cleaned at least twice a year, and more frequently if you live in a particularly rainy or tree-laden area. However, this can be a time consuming, difficult and even dangerous task. Having your gutters professionally cleaned can be well worth the cost by saving you time and lowering your risks of damage to your property and self-injury. 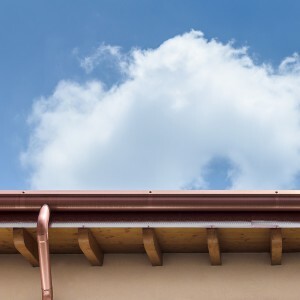 Your gutters are connected to the edge of your eaves in order to capture water and direct the rushing liquid to a downspout that allows it to fall safely away from your home. When a gutter becomes clogged or full of debris, problems can arise that can seriously impact your home’s foundation and your security. 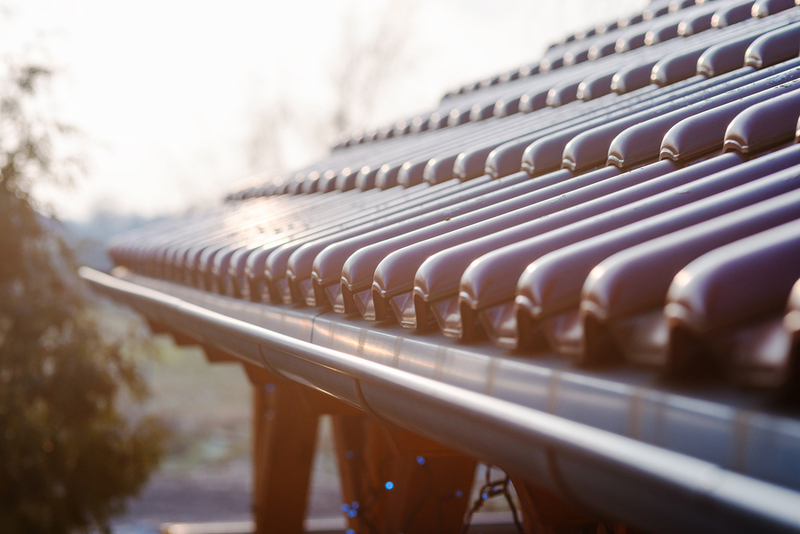 To keep the building safe, consider these top three advantages of gutter cleaning. If your home was not equipped with gutters, water would rush off the roofing materials and fall onto the ground next to the building’s foundation. As the water builds up, the liquid could seep into your basement or crawlspace. 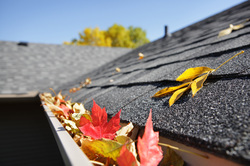 The same over-flow of water occurs when your gutters are filled with leaves or clogged with air-blown debris. Critters of all type love the water that can fill clogged gutters. Mosquitoes lay their eggs in stagnant water and they can invade your outdoor space. Birds, rats, and mice can enjoy a drink from the available water and then build their nests in the clogged materials. Once they begin nesting, and they use the adjacent gutters as latrines, the area can become ripe with bacteria that can fall into your yard whenever it rains. A gutter cleaning can remove the pests and their nests. As the earth settles around a building, the foundation walls can sometimes develop miniature cracks. When overflowing gutter water flows too close to your home’s foundation, the liquid can move into any cracks the walls have. 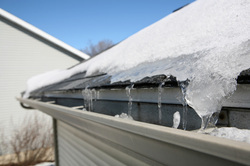 When winter arrives, the water can quickly freeze, increasing the size of the cracks and weakening the wall’s integrity. A gutter cleaning service can help you prevent each of the above problems. The technicians can often do a thorough cleaning in a couple of hours, and by employing their specialized cameras, they can let you know if any other problems exist. Why not give a service a call now and prevent costly repairs in the future. Rain gutters keep your home safe by guiding water away from your house. That is why clogged gutters can be the stuff of nightmares. Thankfully, when you hire a professional gutter cleaning service, you can rest easy knowing your home is safe once again. How do things like this happen? Simply put, leaves collect in the drainage channels and become stuck, creating a sort of dam that blocks the channel. From there, water won’t be able to move through, weeds can grow and the gutters can even become unattached from your house. To avoid these problems, hire a professional gutter cleaning service. Cleaning out clogged gutters is one of those tasks most homeowners grumble about. It’s messy, tricky and unsafe. More than that, how can you be sure you’re doing it correctly? Do you have the proper tools and equipment to clean out the leaves and debris without causing any damage to your house or yourself? 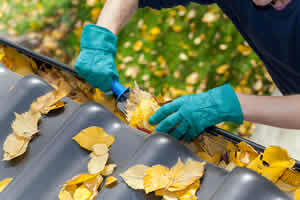 Hiring a cleaning service that specializes in gutter repair and maintenance is your best option. For starters, they are trained in the proper technique for cleaning out clogged gutters. They also have the equipment necessary to complete the job safely and efficiently. In short, a professional service is the best choice for routine gutter maintenance and cleaning. Ignoring clogged gutters can lead to disastrous and expensive damage. That is why you should hire a professional gutter cleaning service to handle the situation before any problems crop up. Rain gutters play an essential role in homeownership. When they are not cleaned properly or maintained, it can result in serious and costly damage, so it’s important to know these facts about gutter cleaning and maintenance. Rain gutters work hard to keep your house protected from all sorts of dangers that homeowners are often unaware of. 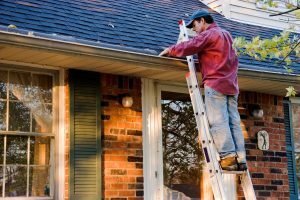 There are three main reasons you should schedule regular gutter cleaning and maintenance for your home. 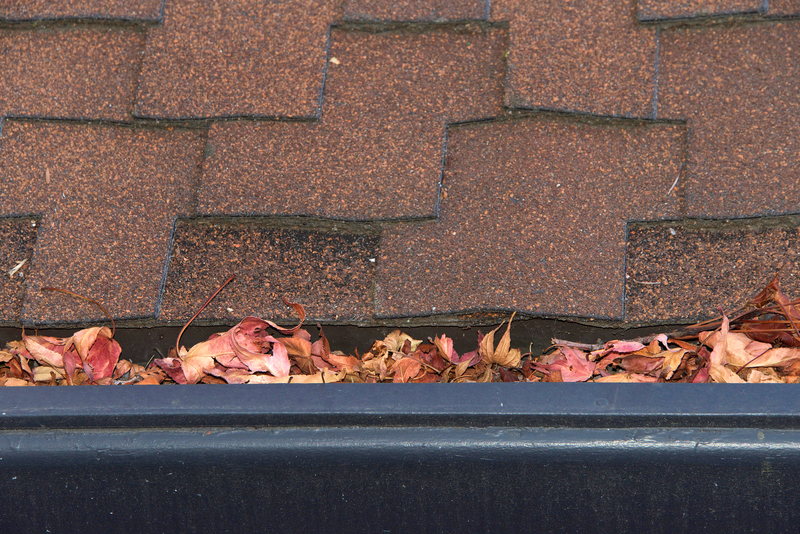 When gutters become clogged with leaves and other debris, it can cause the channel to back up. This results in an overflow of water that spills up onto the roof and down the sides of the house, something the gutters are meant to prevent. Water that seeps beneath tiles or shingles can cause severe damage to your roof, potentially causing it to leak. There can also be damage to your house siding if water slips beneath the surface. Both of these situations can lead to costly repairs. The good news is, this can be avoided with routine cleaning and maintenance from a professional service. Regular gutter cleaning can help prevent the infestation of pests. For one thing, small animals and rodents can use the materials sitting in the gutter to build nests and make a home. The damp leaves can draw in everything from birds and mice to pesky mosquitos. If this happens, a professional cleaning service can take care of the problem. A major issue that can arise out of clogged gutters is with the foundation. This is particularly the case in areas where water that pools at the base of your house freezes in cold temperatures. When this happens, cracks can appear and make the foundation less stable. If you notice any issues, contact a professional service right away to clean out your gutters. With how important rain gutters are to your house, it’s critical to take good care of them. We recommend hiring a professional gutter cleaning service and schedule regular maintenance to keep your gutters functioning properly. That way, you can avoid serious issues and keep your home safe. Without working gutters, your house is prone to water damage during a rainstorm. The gutters protect your siding, doors, windows and foundation from running water. Clear gutters allow the built up water from your roof to run off cleanly. However, when drainage systems aren’t properly maintained, the water runoff can wind up causing severe water damage. Here is how you can get serious about your gutter cleaning. Gutters backed up with leaves, rocks or other debris can lead to catastrophic destruction to your foundation, roof, walls, driveway and even landscape. That is why gutter cleaning is so important to the maintenance of your home and should be done regularly, especially in states that experience all four seasons. Hiring a professional can help prevent these damages and ensuing costly repairs. One of the most overlooked but essential features of any home are its gutters. Gutters help protect the home in so many ways, from preserving the roof’s structure to maintain a solid foundation. Therefore, it is important to clean and inspect the gutters at least once every year and to seek gutter repair in case of any damage. It is essential to maintain your roof’s gutter system, as it protects your home from water damage and structural ruin. The gutter system carries flowing water away from the roof, interior and foundation, and improper maintenance will create a backflow or overflow into these areas. Generally speaking, most homeowners are ill-equipped give their gutter proper attention. Here are four reasons to hire gutter cleaning professionals. They cling unobtrusively to corner of your roof, but they are more than a decorative addition. Gutters provide a priceless defensive measure against water damage to your property and home foundation. However, many homeowners aren’t aware of the damage that can be done if gutters are left ignored and forgotten. Clogged gutters are problematic, and it is best to take the offensive with gutter cleaning to prevent the following damage.